Experience world-famous skyline with a 3D light show this Christmas! 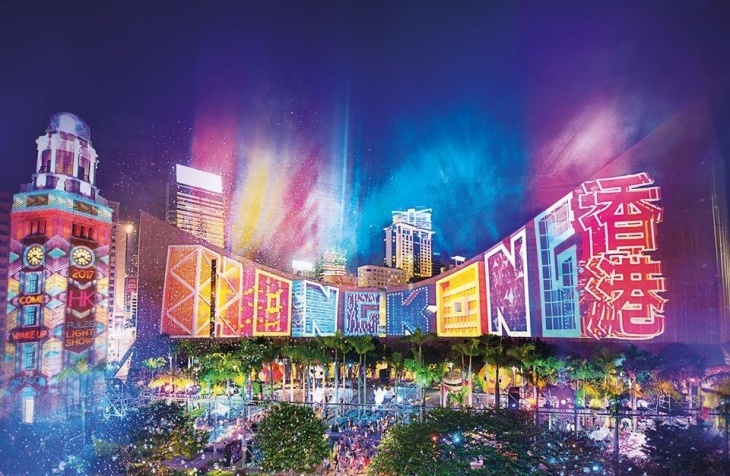 Enjoy an exhilarating multimedia light show with spectacular lighting effects, 3D projection mapping, music and sound effects at the Hong Kong Cultural Centre Open Piazza. This mesmerising display will coincide with Hong Kong WinterFest to add a splash of colour to your holidays with eye-catching installations that make for perfect selfie opportunites. Watch as magical dragons explore hidden corners of Hong Kong to revitalise the city frozen in time! Don’t miss the revamped ‘A Symphony of Lights’ show which takes place at 8pm at the same place, right before Pulse Light Show, and is visible from the harbourside area near Hong Kong Cultural Centre. Hong Kong Cultural Centre, 10 Salisbury Road, Tsim Sha Tsui, Kowloon, Hong Kong.